Spanish music for use at different times during the day, including prayers and canticles for Mass, the Liturgy of the Hours and popular devotions such as the rosary. This 13-song MP3 album by Father Juan J. Sosa features music for various occasions, including prayers and canticles for Mass, the Liturgy of the Hours and popular devotions such as the rosary. Cuban-American composer Father Juan Sosa has given frequently used Church texts new life by setting them in a musical style that reflects the cultures of the Caribbean. 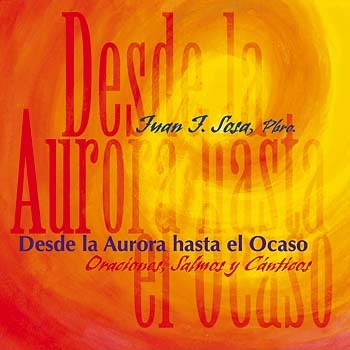 Desde la Aurora hasta el Ocaso contains music for use at different times during the day—prayers and canticles for Mass, the Liturgy of the Hours and popular devotions such as the rosary—plus selections for every season of the church year.